Welcome to the Aquarian Apothecary! 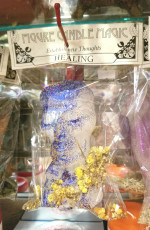 We offer a wide selection of candles, herbs, oils, salt baths, and starter kits for all your intentions. 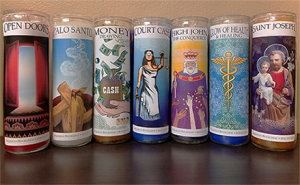 Whether you’re putting together a mojo, asking for guidance from the saints, lighting a candle to draw in money, or finding an oil to anoint your space, we have what you need. We currently offer in-store sales with an online store coming soon. 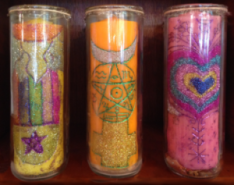 Here at the Aquarian, we have a selection of undressed, dressed, and carved candles. Our trained staff can carve a custom seven day candle for your specific intention to address your needs, or you can choose from our premade selection. 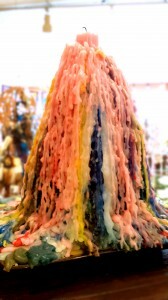 We also offer dressed candles for money, uncrossing, love, and more! If you prefer to dress your own candles, we offer seven-day pullout candles as well as zaps, coach candles and jumbo candles in a variety of colors. For candles in glass, we offer a 10% discount on any combination of twelve or more. We carry all your smudging and saging needs: feathers, abalone shells, sage, sweetgrass, cedar, yerba santa, palo santo, and combination bundles and kits. 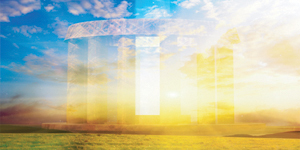 Whether you want to deeply cleanse your house, your stones, or yourself, you’ll find your supplies available here. 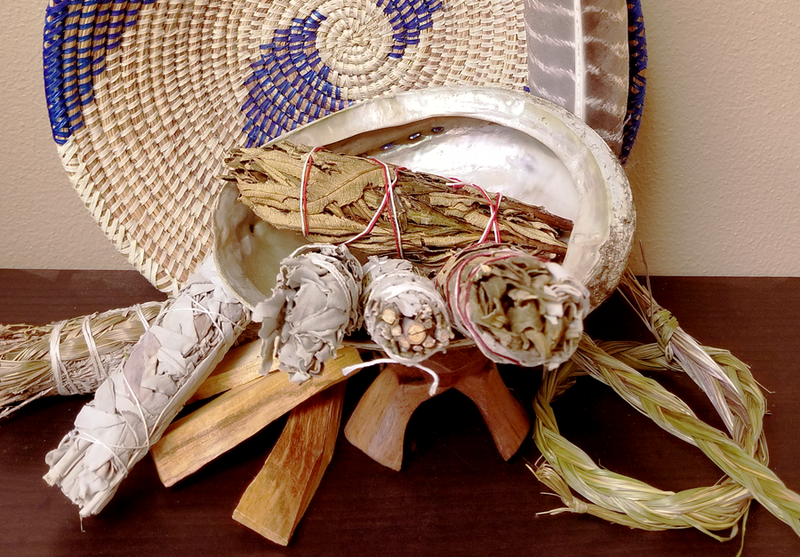 For our list of smudging bundles, click here. Another way to keep that magic flowing is the use of apothecary powders. These powders can be worn on your person, in your pockets, or used to sprinkle your space or dust your money! 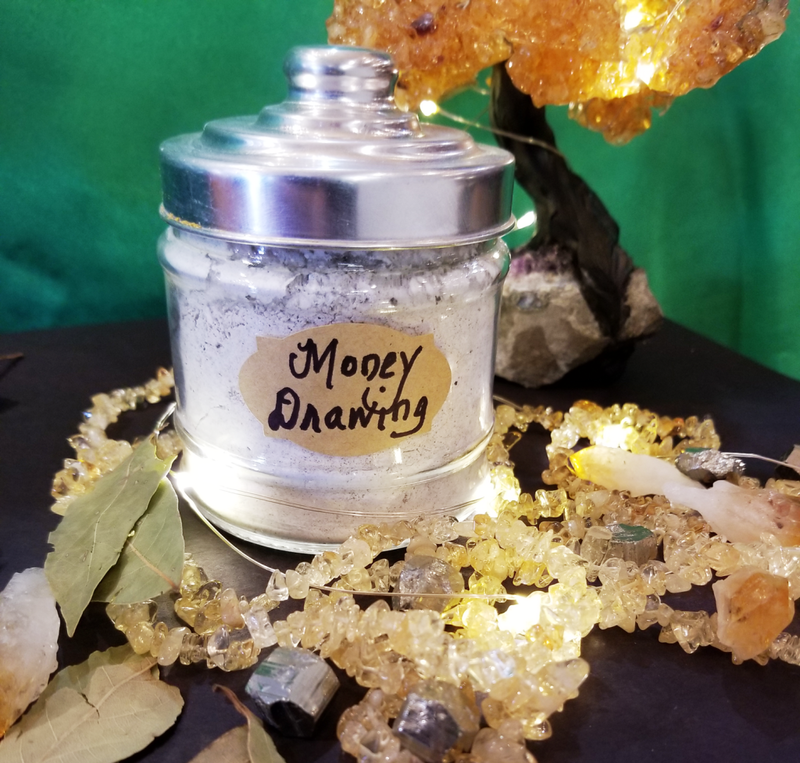 We have powders for protection, money, love, intuition, and so much more. 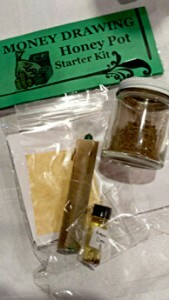 Ask about our custom blends! Sold by the half ounce. For our full list of powders, click here. Do you need oils for spellwork, candle dressing, anointing a mojo bag, or for other purposes? Besides our selection of essential and fragrance oils, we offer blended oils for various situations. If we don’t have the right mix for you, we will custom blend one to suit your needs. View the entire list of condition oils, essential and fragrance oils here. 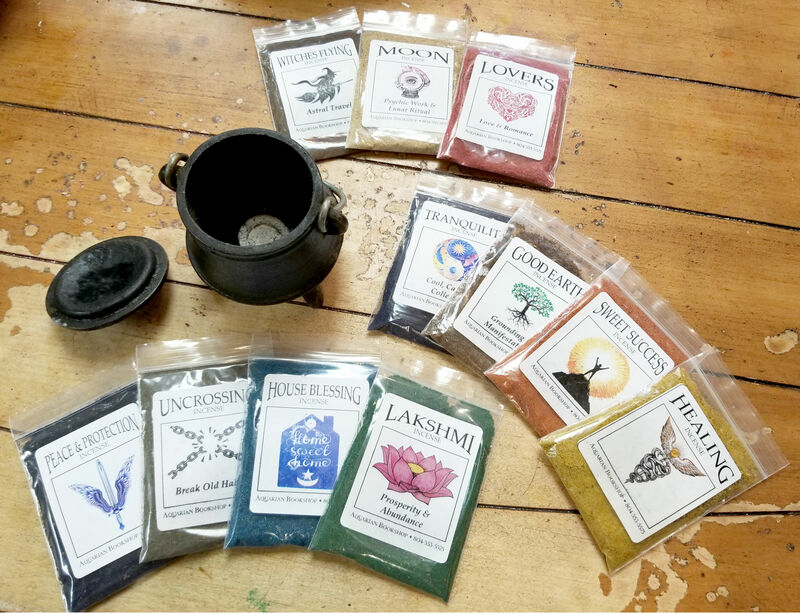 Hand-mixed in the store by our talented staff, we carry salt bath blends for uncrossing, love, focus, healing, and more, sold by the quarter pound. For our full list, click here. Clear that energetic buildup and give yourself a boost with the right mix! Whether you need to bless your house, unite lovers, or clear a space, we have loose incense blends to suit your needs. For our full list, click here. If you’re looking to make your own, we carry bamboo incense base in a range of colors. 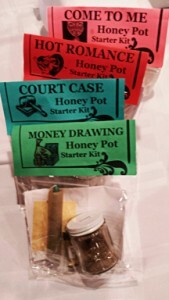 We offer starter kits of herbs, crystals, and candles for various intentions to set up this traditional Hoodoo rootwork spell. With continual use, one day yours may look like this! If you’ve never worked with figure candles, this is the best way to start. 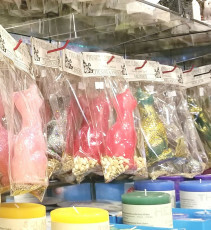 We have figure candles dressed with oil and glitter for specific intentions. Take them home, follow the simple instructions, and work some magic! We are your local source for loose herbs! For our full list, click here. Come stock up on ingredients for your bath and body recipes, spells and mojos. Our herbs are intended for external use only. We also carry various washes, including Florida Water, Kananga Water, Hoyt’s Cologne, Louisiana Swamp Water, Lil’ Algiers Uncrossing, and Clear, a hand wash to clear the path.